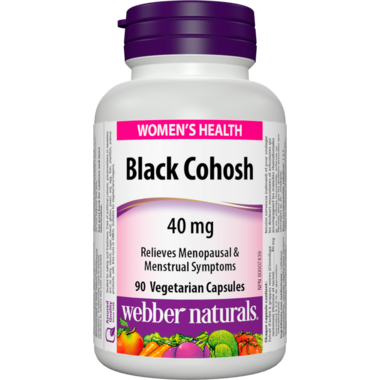 Black Cohosh clinical value has been well documented by the prestigious German Commission E , it presents Black Cohosh as an effective treatment for PMS and dysmenorrhea (painful menstruation), as well as for nervous conditions associated with menopause. Black Cohosh has been termed the herbal answer to hormone replacement therapy. Black Cohosh provides effective phytoestrogenic action that is similar to the action of ovarian estrogen. It is considered safe for long term use. Black Cohosh is an effective alternative to estrogen hormone replacement therapy (ERT), in most cases of menopausal discomfort, and is not considered a risk factor for hormone related cancers.